SPORAH TV: MISS UGANDA UK AGAINST MISS ZIM DIAMOND (Zimbabwe) UK..! IT'S A MINI COMPETITION. MISS UGANDA UK AGAINST MISS ZIM DIAMOND (Zimbabwe) UK..! IT'S A MINI COMPETITION. MISS UGANDA UK AGAINST MISS ZIM DIAMOND (Zimbabwe) UK. Beautiful girls showcasing their Beauty, Fashion, Talent, Creativity, culture and self identity. As you can see we had a great time with the girls, not only we had fun but also a lot to learn as the girls were preparing for their final competition on 10th September 2011. The Sporah Show Wishes all the girls BEST OF LUCK and hope to see them back in our Studios to tell us about the BIG DAY and what the future holds for them. As the motto says: "ALWAYS BE PREPARED". Thank you Sporah! I went crazy when I missed this show, i had technical errors with my SKY BOX therecordings din't work well..and here it is. Sasa mshindi ni nani jamani dada Sporah??????????????????? Jacque yuu looked soooooo fabulous. Big up to JM Promotions. 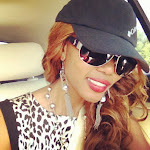 I like the 1st girl from Zimbabwe, i think she is the most beautiful of all the girls. DADA SPORAH UNAUZA NCHI YAKO VIZURI SANA SANA, TUKO PAMOJA DADA NA WE LOVE YOU. 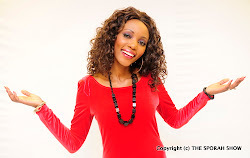 I think miss Zim Diamond should have won tho. hii itaonyeshwa lini Star TV? 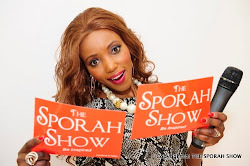 You look absolutely stunning Sporah, And your show is very inspiring too! I hope to meet you someday. ooo black girls are so beautiful. nimependa uivovaa Sporah, ila hao mamiss sina uhakika nao, yaani hakuna anaevutia hata mmoja, labda hapo kwa waganda kidogo. OOH Gosh it was tough one, poor girls!... enjoyed the show so much Sporah.